The Order of the Arrow is an organization dedicated to cheerful service and the promotion of camping. Through our on-line "Where to Go Camping Guide," Colonneh Lodge continues to promote the idea of making camping more readily available for our Scouts who love the outdoors. This web page is intended to serve as a reference for Scout leaders and youth leaders about camping and outdoor programs in our area. The information presented here is not an official method of disseminating information for the Boy Scouts of America, Sam Houston Area Council or Colonneh Lodge, but is published for the sole purpose of providing information for Scouts and leaders as well as interested non-members and parents. The BSA's Commitment to Safety is ongoing. The safety of our youth, volunteers, staff, and employees cannot be compromised. Health and safety must be integrated into everything we do, to the point that no injuries are acceptable beyond those that are readily treatable by Scout-rendered first aid. 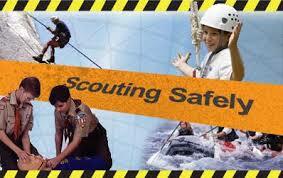 All Scout leaders must become familiar with the Guide to Safe Scouting. Unit leaders should be aware of state and local government regulations that supersede Boy Scouts of America policies and guidelines. Youth Protection training is designed to help keep youth safe from abuse, and must be completed by all registered leaders. YPT can be taken online, and is highly recommended for parents and other adults working with youth. During YPT, participants learn the Boy Scouts of America’s Youth Protection Guidelines. The tour and activity plan is a tool to help leaders prepare for a safe and fun adventure, ensure trained leadership is in place, ensure equipment is available, and that there is safe and appropriate transportation to and from an event. The campout safety checklist provides guidance on safety issues that may be encountered on a Scouting campout, and will help identify risks that need to be mitigated or eliminated. Cub Scouts: A Pack Overnight Site Approval Form must be completed when camping at a location other than a council camp. Consider the following locations for specialized training and activities. Please submit additional activities.